I need pictures to say the thousand words I wish I could use to describe the incredible week I’ve just experienced. 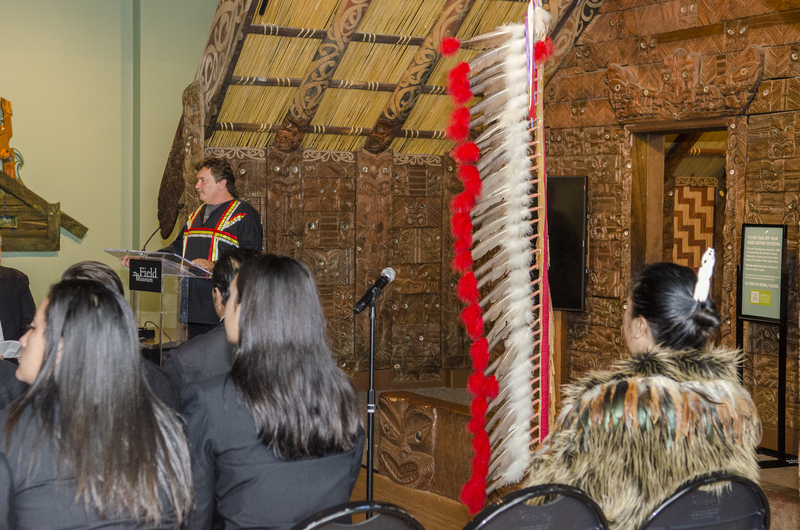 During my time in New Zealand, (click here for a recent article on my Fulbright research and the subsequent exchange) working with indigenous Māori people allowed me the opportunity to witness first hand the profoundly positive impact that placing culture and heritage first in education has on eliminating the racial predictability of student academic achievement. I came back from my Fulbright experience a changed human. 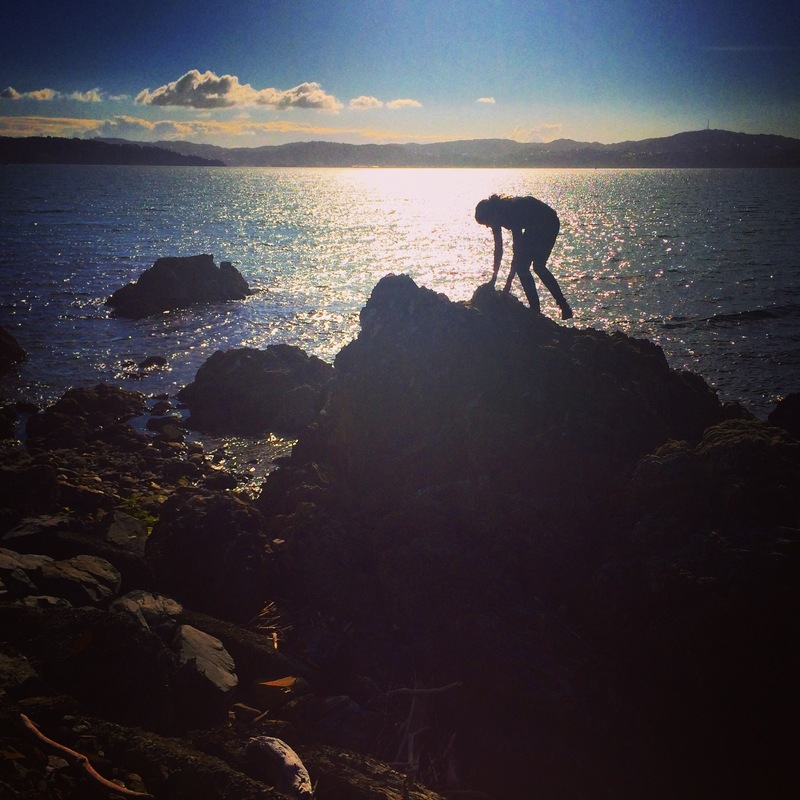 The trip inspired me to find my roots and ancestry through embracing the land, sea, and where I come from. 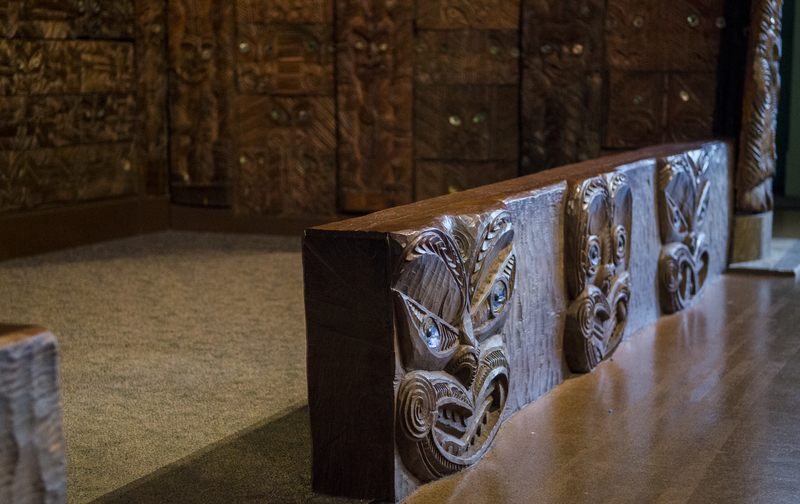 Although my students couldn’t go to New Zealand this year, this exchange to Oak Park allowed my students to witness a new culture and ignite curiosities that will inspire them explore to US and the world in the future. 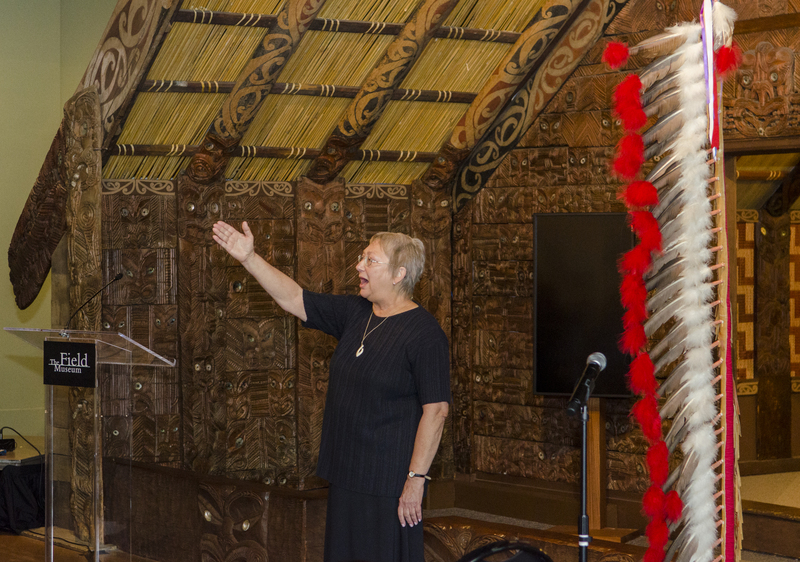 Through a serendipitous encounter in Rotorua, New Zealand (blog post to come), I had the great privilege to collaborate with Raewyn Tipene, the amazing CEO of the Te Kāpehu Whetū school in Whangarei, New Zealand, and together we worked on a cultural exchange between our two schools. 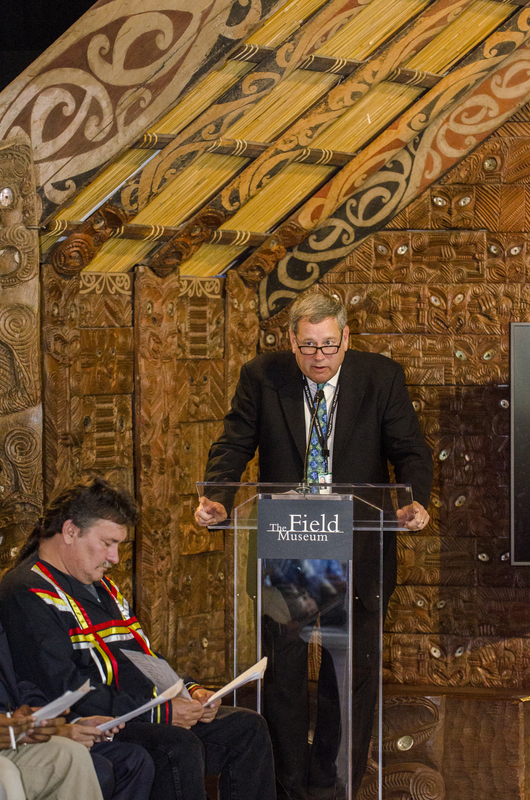 It was meant to be, as the world renowned Field Museum has one of three marae, or Māori meeting houses, outside of New Zealand. 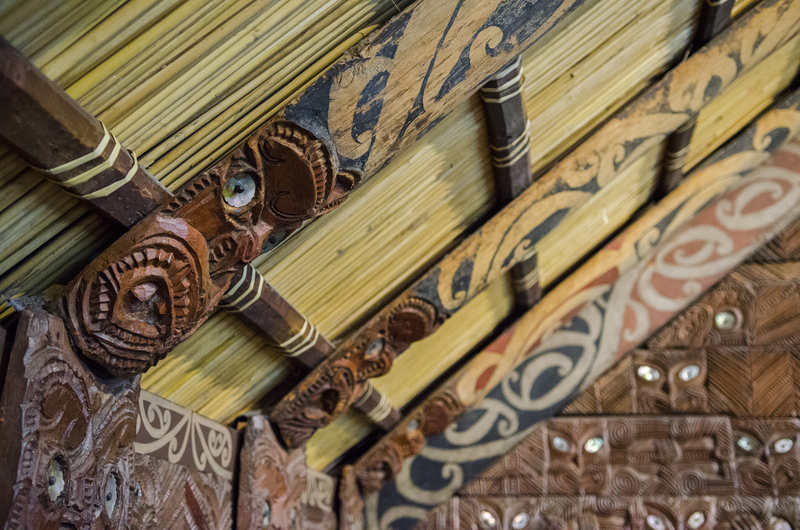 The marae comes from the iwi (tribe) in Tokomaru Bay, and some of the students from the New Zealand school have ancestors from there. 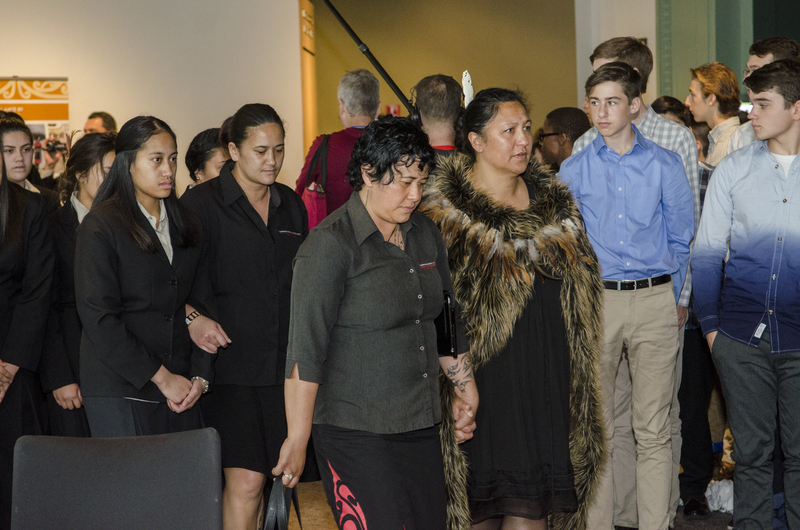 In order to welcome them appropriately, we completed a pōwhiri , or a traditional welcome ceremony. And I can’t explain how much it touched me to bring 80 students and have them feel how I felt a year ago this week when I went through my own first pōwhiri . Because I can’t even attempt to adequately explain it, I’m using these pictures (best ones are towards the end! ), taken by the amazing Fredy Peralta through APJ Photography. I hope they can speak the words I cannot write. Enjoy! 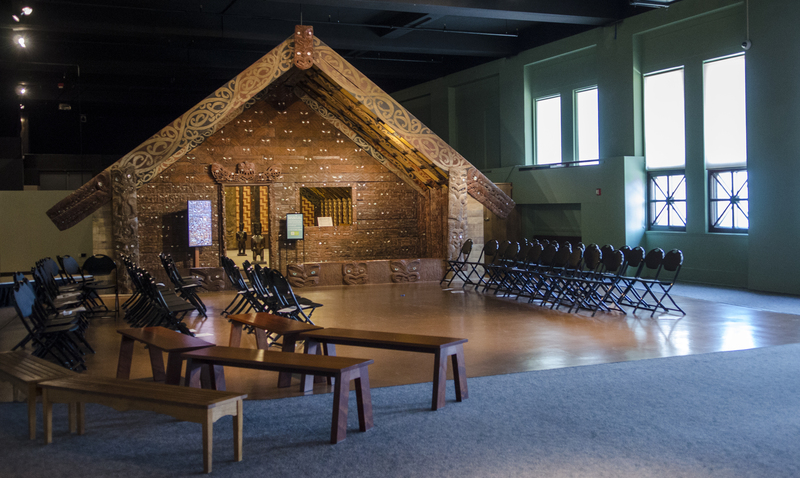 The marae (or the meeting house) is ready for the ceremony. 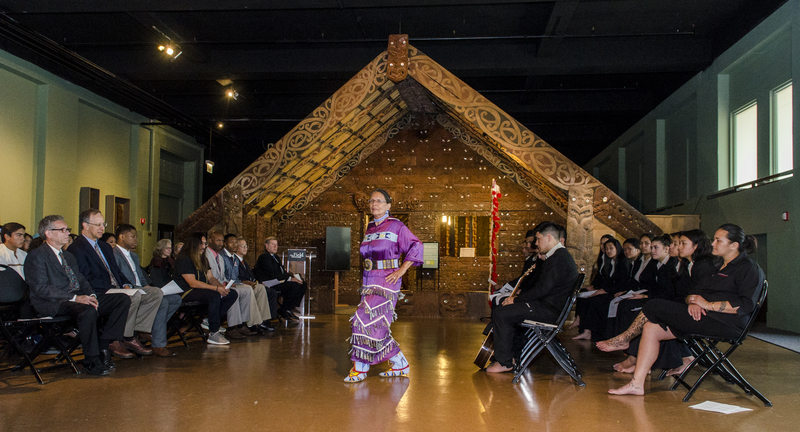 The Field Museum’s Mary Ann Bloom does the karanga, or call for our manuhiri tūārangi, guests from afar to enter. 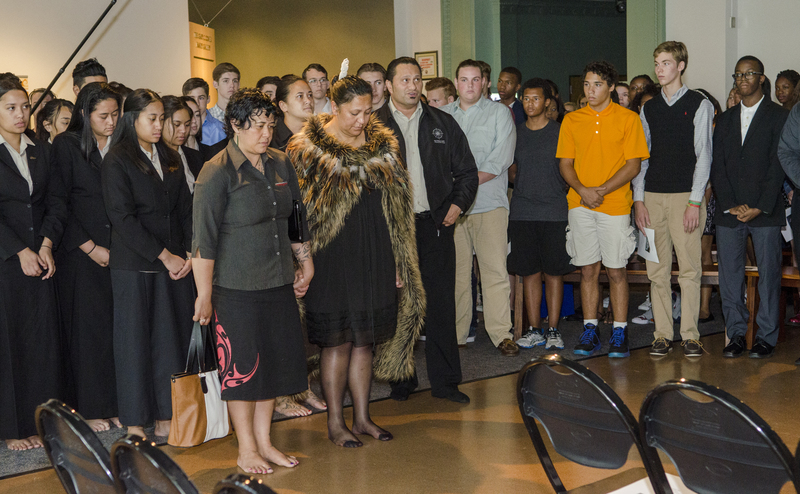 Te Kāpehu Whetū enters the space while we all stand. 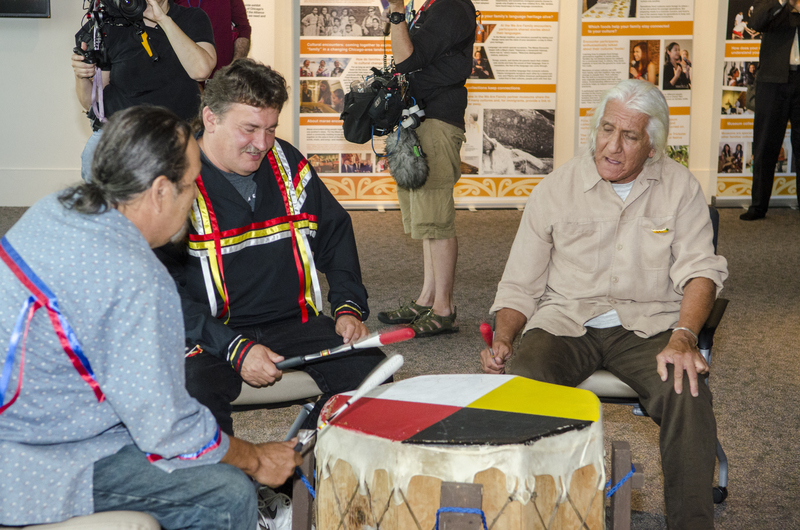 Joe Podlasek, LCO-Ojibwe/Polish, speaks his welcome words on behalf of the First People of the United States, and explains the importance of the Eagle staff he presents. 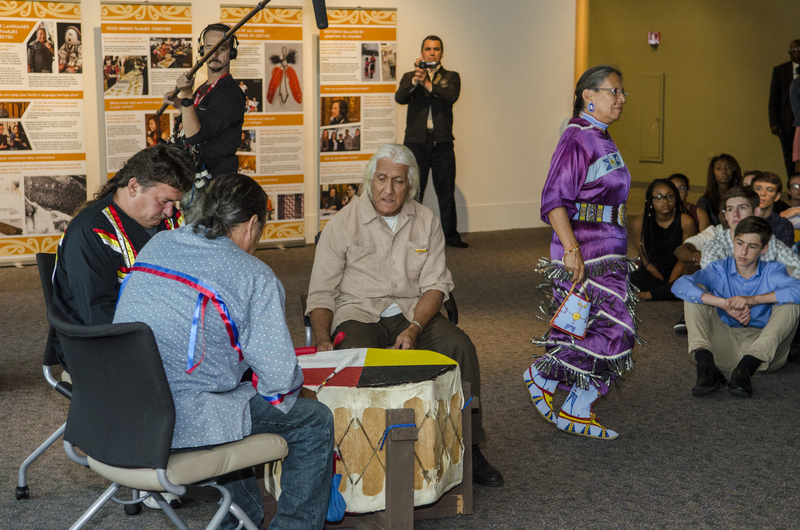 The First People respond with drums and a beautiful jingle dancer. Hierve El Auga, on the top of the world! Before I moved to New Zealand for a semester, I received two guidebooks for the country as gifts. I studied them both, inside and out, carefully marking the adventures I wanted to turn over in my brain during dull moments, like waiting for buses and late friends. Both books were heavy to carry with me across the planet, but I wanted to have my post it notes and bookmarks. On my first full day in New Zealand, I found my way to the tourism office, and I took so many brightly colored pamphlets that one of the women working at the tourism bureau asked if I wanted a shopping bag to take them all home with me. But I’ve done quite the opposite while in Oaxaca. Instead of meticulously planning out each and every second of my days, I’ve tried the “go with the flow” method. I decided I wouldn’t research, wouldn’t highlight and star, I would just accept as many invitations to see and do and feel as possible. One reason—the pragmatic one at least–for my change in mindset is that I know that there is such a plethora of things to do and see that I realistically cannot see all of that I would want to see in Oaxaca in just thirty days. This is further exacerbated by the fact that my primary reason to be here is to study and collaborate and not to play. So, I knew before coming here that if I just “let things happen,” that I can better stay in the moment, saving me some of the uncomfortable and scratchy “shoulda/coulda/woulda” feelings that can follow me home in the night. The second is that I’ve just simply been tired—tired of working, tired of planning, and most importantly, tired of worrying. 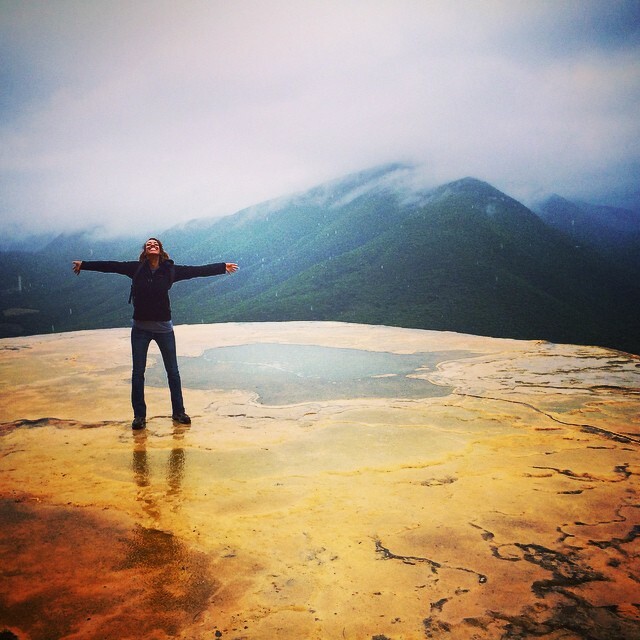 So, in Mexico, I am just going to jump into things, arms outstretched, and see what returns my hug of the universe. 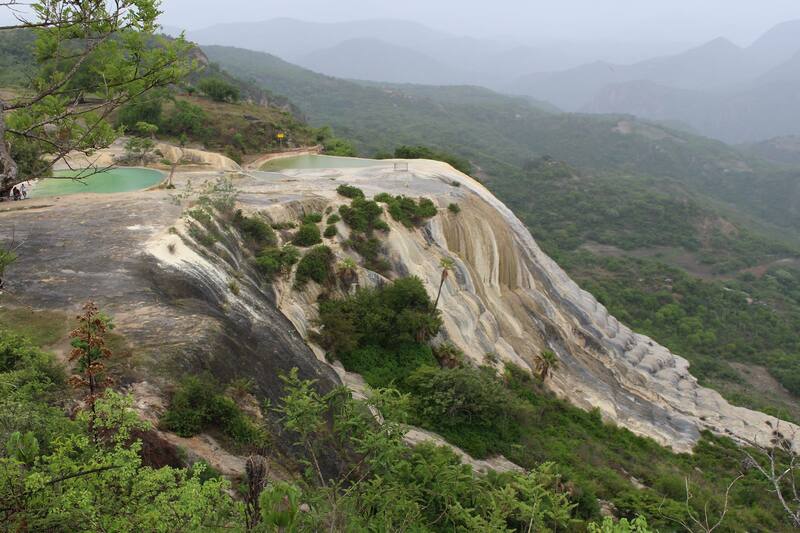 And the first real experience was my day trip to Hierve El Agua, beautiful mineral springs in the valley of Oaxaca. My other NEH colleagues started murmuring about this natural wonder from the first day I arrived, stating that they wanted to see the beautiful waterfalls. 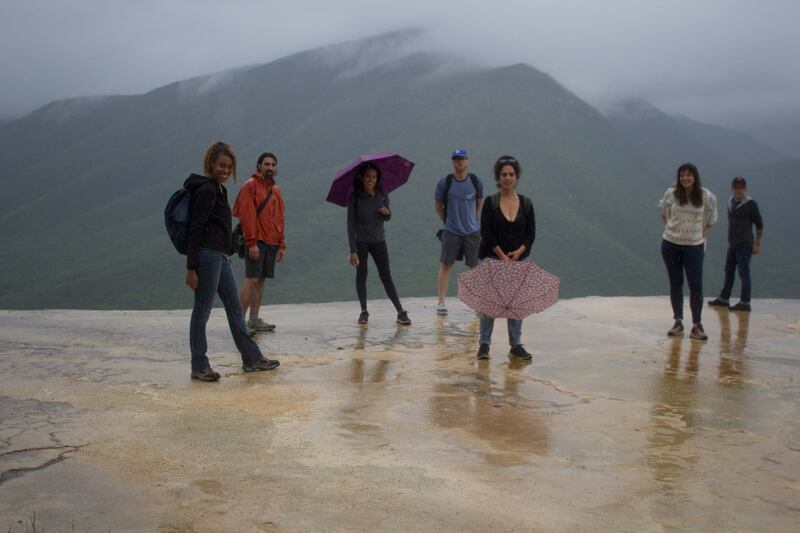 At one point, I got confused because someone asked me if I wanted to see the “frozen waterfalls,” and as I was sweltering in 88 degree heat, it felt incredulous that water could be frozen anywhere in the state of Oaxaca outside of a freezer. 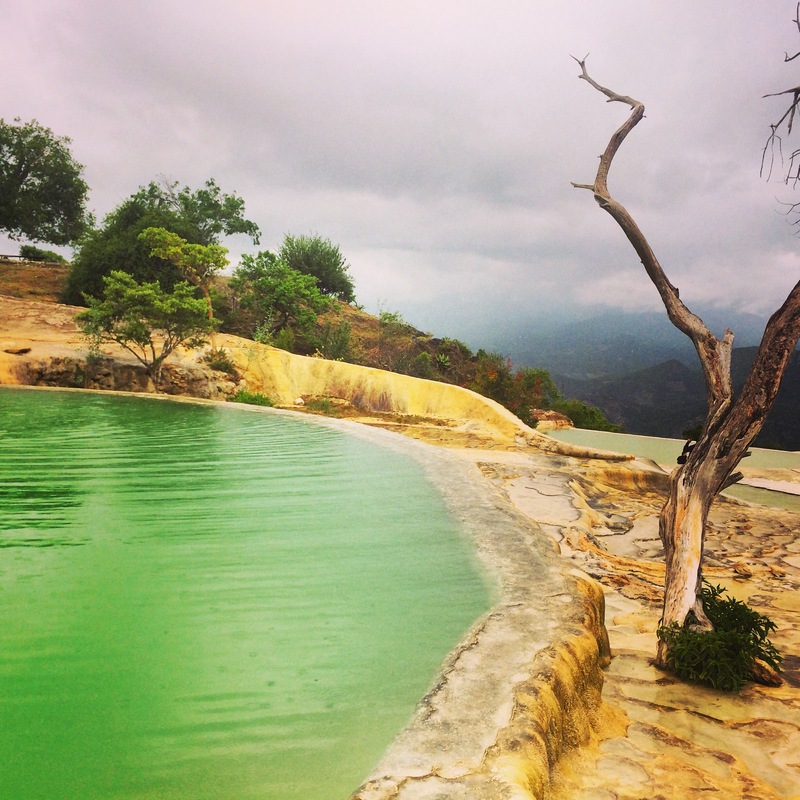 In addition, the name “Hierve El Agua” translates as “boiling water,” so I thought that for sure the name must be incorrect. One angle of the “frozen” waterfalls. But as someone finally explained to me: Hierve El Agua isn’t waterfalls at all, but streams that have created hard, rock-like mineral deposits that give the appearance of enormous frozen waterfalls. They are amazing to see, and the community has also damned some of dripping water to create beautiful, natural mineral water for people to swim in. It’s a wonder (and gift) from nature. I said yes without thinking twice. We had a meeting point of 12 p.m. outside my friend Benita’s hotel. In all, eight of us showed up: Benita, Steve, Vanessa, Shidah, Geoff, Aisling, Katherine, and Jesse (a male Jesse, whom everyone calls “el Jesse” and me “la Jessie”). After everyone congregated (Ashling and I were late as we had spent the morning running all over the city to photograph street art), we had to figure out how to get there. And boy am I glad I said yes before I knew exactly what I was getting into. Let’s just say that unless you go with a tour, the ride there is half the adventure. First, we walked north a mile to a colectivo stand. 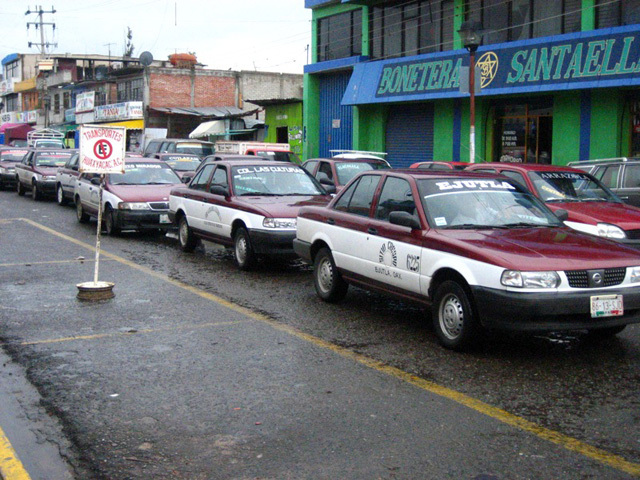 There are three main forms of transportation in Oaxaca—bus, taxi, and colectivo. The bus is pretty self-explanatory, but it is entertaining to see men hanging outside of the passenger entrance yelling the bus’s particular destination. Second, there are taxis, which you can hail off of the street, call, or jump into at taxi stands. There are no meters inside the taxis—you negotiate your price before you get in the vehicle. It seems the going rate, no matter how many people are with you or where you are going in central Oaxaca—is 40 pesos (roughly less than $3). The other day, my friends and I took a taxi to a restaurant that was almost twenty minutes away, and there were four of us the car—and the price was still 40 pesos. Amazing! So last, we have the colectivo, or collective cabs. 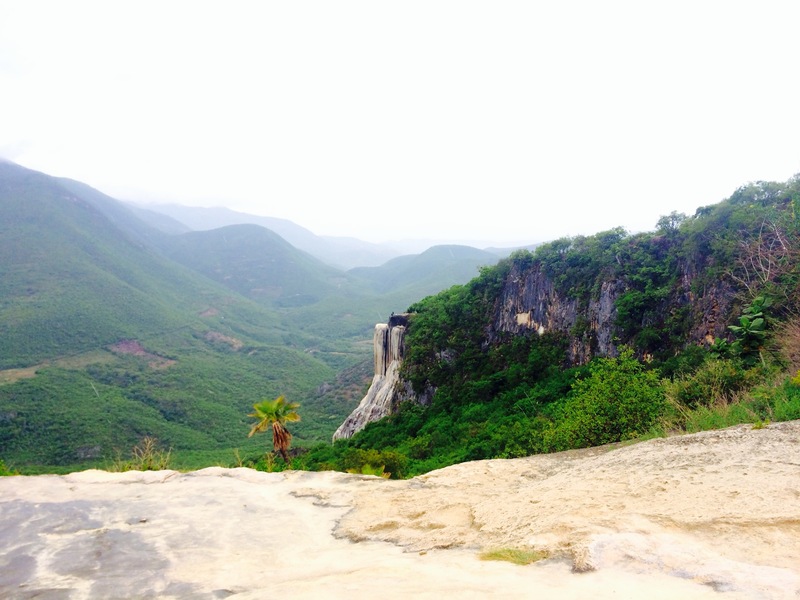 This is definitely the cheapest option if you want to travel out of central Oaxaca and see the neighboring cities. A colectivo has a specific designation (made clear with a sign in the car’s front window) and makes its rounds at each of the designated stops. Anyone desiring to go to that destination can get hop in, and the driver will notify how many spots are open by sticking the corresponding number of fingers out of his window while he slowly drives by. Colectivos are a far cheaper way to get out of town, and be a quarter of the cost of a regular taxi. We split into two groups of four to try to make hailing a colectivo easier. We finally negotiated the ride for 25 pesos each (less than $2), which I realized quickly was a large victory as the drive to the city of Mitla was about 35 minutes away. Once we arrived and got out of the comfort of the taxi, I stretched and smiled, thinking we were almost there. But soon, I saw one of my Spanish-speaking friends negotiating fares in front of what essentially was a pickup truck with a top over it. I gulped and imagined someone holding my frizzy hair back as I puked up the three amazing al pastor tacos I had enjoyed from lunch. Remembering to bring medicine for car sickness is not something I had put on my daytrip packing list. Swimsuit, yes! Motion sickness pills, a big ole nope. Here’s a video clip of our journey before we start climbing the mountain thanks to Aisling Roche! But I made it. 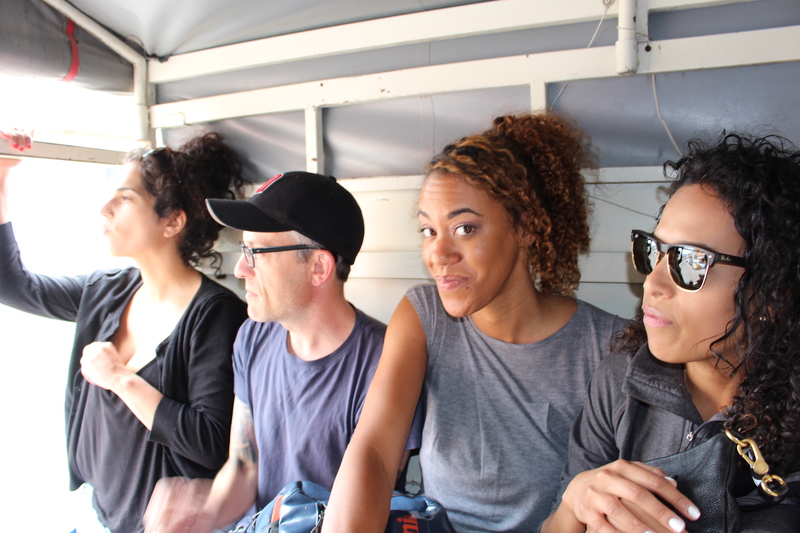 We piled into the camioneta and settled in for 40 minutes of going up a mountain over potholes and dirt terrain. We had to hold on to whatever we could—the metal poles on the edges, the seats, each other. I was my total chameleon self—because the group was happy, positive, and bubbly, I stayed comfortably in the same mood. As we reached almost the top, I thought we had finally made it. Nope. We had to change hands and pickup trucks, and the “new” truck made the old truck look like a hot rod. It was smaller with torn up seats and a roof that leaked. In addition, the new pickup truck already had passengers inside, so we squished even more next to a kind and very curious Oaxacan man. So by the time we made it to the top of the mountain, it was 2 hours and 45 minutes after we had initially left. Our eyes welcomed the snack and taco stands at the top of the hill, but we weren’t swayed by the owners’ beckoning calls. We could impale our stomachs with food later. For now, we just wanted to see it. The beautiful natural swimming pool. Now that I’ve gotten my sea legs and can see without a jet lag haze, I’ve come to really appreciate Wellington. In a week, I’ll take my first real venture outside of this beaut of a city, but it’s been important for me to spend some quality, uninterrupted time in the city I’ll call home until the season of Santa hats and jingle bells. 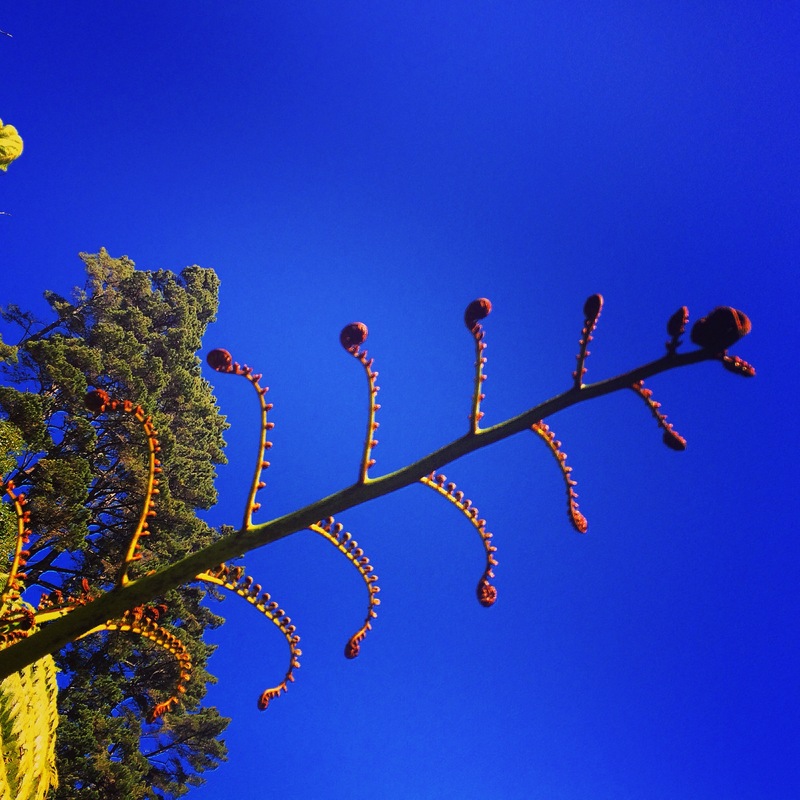 The following list includes the little things that have touched me about Wellington. And even though they are little, I think they speak volumes about what I’ve noticed about the culture as a whole. Note: I recognize that these could apply to other cities in New Zealand or even the country as a whole, but because I haven’t seen other cities, I don’t want to make any assumptions! 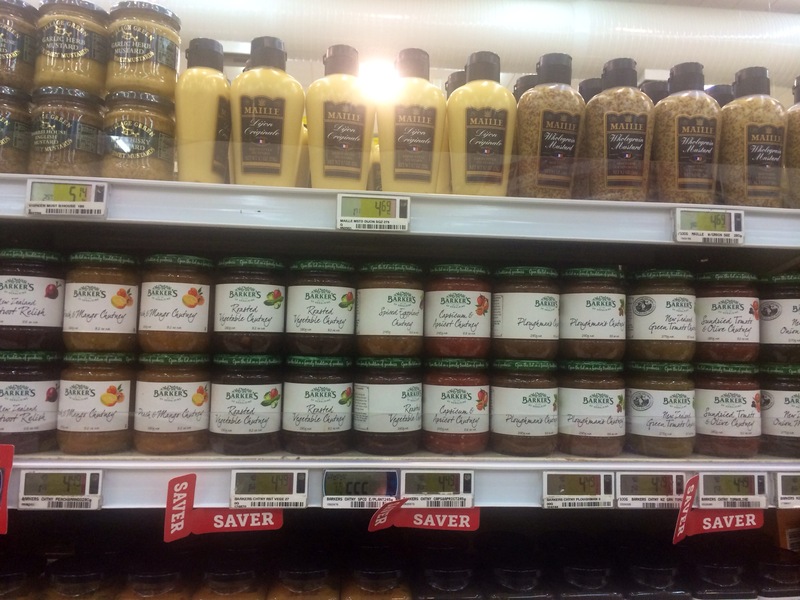 Now, keep in mind that my only routine experience with grocery shopping is at New World because it’s right on my way home (although I love Moore Wilsons, which is their equivalent of Whole Foods). Almost every day I’ll pop in to get something, partly because of how much of a kick I get out of shopping here. The first thing I love about the store is that when you first walk in by the flowers, there will be an 80s or 90s music video playing. As you travel through the fruits and vegetables, you’ll see another screen with the same display. And then there will be another one above the meats, etc. And whatever video is playing, that song will play throughout the whole store. Yesterday, I was serenaded by Whitney Houston’s “How Will I know?,” Backstreet Boys’, “I Want It That Way,” and Technotronic’s “Pump Up the Jam,” for example. It makes figuring out what the heck a kumura is an experience when you can hum along to some “Mmm Bop.” (kumura is sweet potato, by the way). The second thing I love is that at all times of day you will see several people working in the aisles making sure that each and every label is perfectly straight. I don’t know why I find this so amazing/humorous/endearing, but sometimes I’ll catch myself staring at the employees fixing each and every soup can, box of cereal, and soda bottle. A weird side effect of this love of this aspect of the grocery store is that when I put something back, I will now stand there until the label is fixed just right. I want to make sure that, like the rest of Wellington, I show that I care about how things are presented. 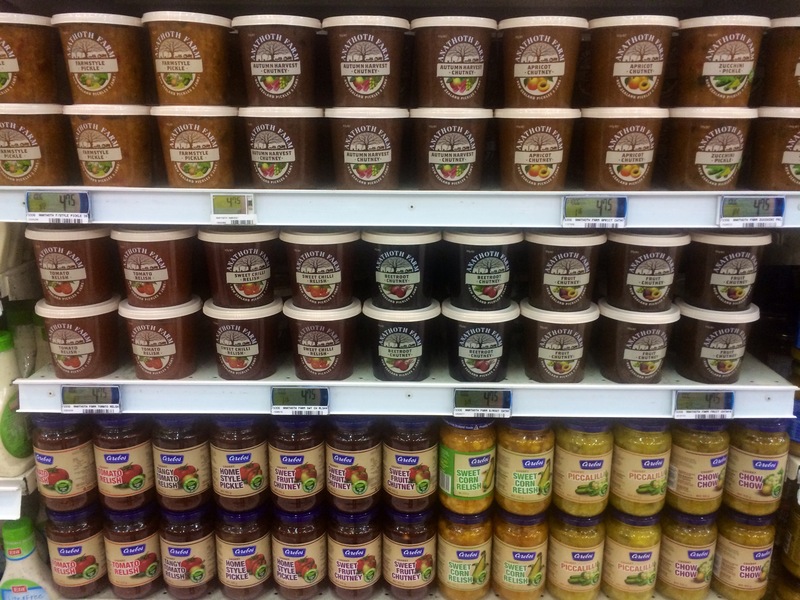 Here is an example of how the jars will look. Amazing, eh? I’ll tap my Snapper card and make my way to the first empty seat. Most of the time, the bus will be completely silent. Even if you see a couple who have just picked up groceries or a few old friends who have formed an impromptu reunion on the bus, most people will remain quiet. In Chicago, on the other hand, it’s common to hear groups laughing over a recent event, someone blaring a favorite track over his cellphone, and sprinklings of people talking on phones or watching YouTube videos.The only times I’ve experienced quiet buses is when the second city is either waking up for a new day or turning down for the night. Now, for some reason when I try to imitate this gesture, I sound like Oliver! the musical by Lionel Bart. But it’s only because imitation is a form of flattery. I love that the Wellingtonians, as quiet as they can be (seriously, I often can’t hear them when they speak to me), will suddenly yell out from the back of the bus to thank the bus driver as they exit. It feels like this should be a natural thing–you thank a server when she fills up your water glass, and you thank the clerk when he gives you the movie tickets you just purchased. Why wouldn’t you thank your bus driver for getting you to your destination safely? Wellington does this right. 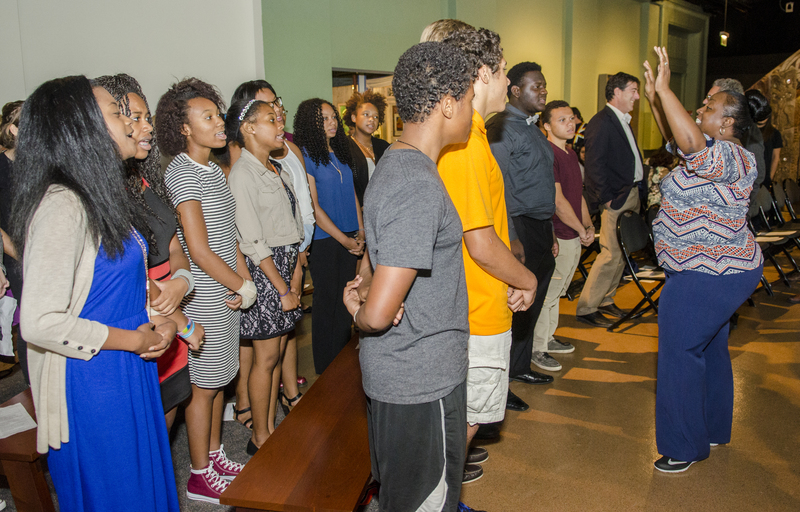 Midnight Walks and Golden Pins: Fulbright Orientation in D.C. I had just arrived in D.C.! The Fulbright orientation was pretty dang career affirming. 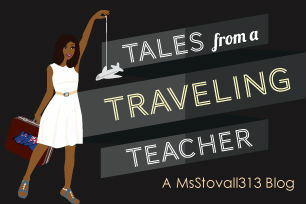 Forty-three teachers flew, drove, and trained in from all over the U.S., and 11 international teachers arrived from India, Singapore, Morocco, Finland, and New Zealand. When we landed, it was pouring rain. I was kinda excited because I would get to try out my fancy new Patagonia raincoat I had bought on Ebay for a quarter of the retail price. I lasted about seven and a half minutes before my entire bottom half was soaked and stuck to the insides of my thighs. Yuck. But, I will say, my top half was pretty dry when I later peeled off the shell in the auditorium of the national capitol building. So I will count this as a success! Drying off at the State Capitol building. Hello there Lincoln! The people: By golly, these are just amazing people. If you interact with me daily, you know I can be goofy and outgoing. My dad describes me as “expressive” (I’m not sure if this is a compliment or not). But I found myself at orientation fairly quiet because I was a bit overwhelmed by the energy and talent of these amazing leaders in education. I also kept questioning myself: “Is this really happening? Do I really deserve this award? Did they make a mistake in choosing me?” as I shook hands and talked over coffee and sticky notes. These are people I hope I can use as allies, contacts, and friends for the rest of my life. In general, Holly and Becky, who worked for IEE (and were also responsible for choosing us on behalf of the Department of State) were wonderful. If it would have been appropriate, I would have been constantly hugging ’em. 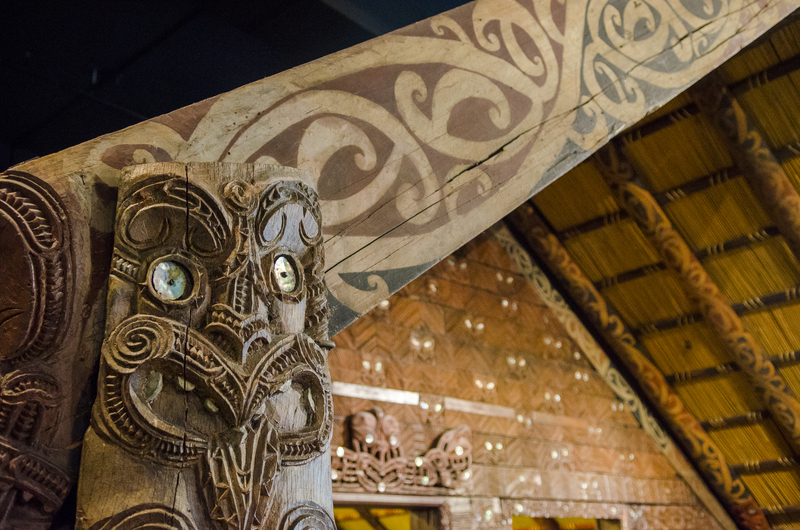 Here are the amazing teachers that will go to New Zealand this year!